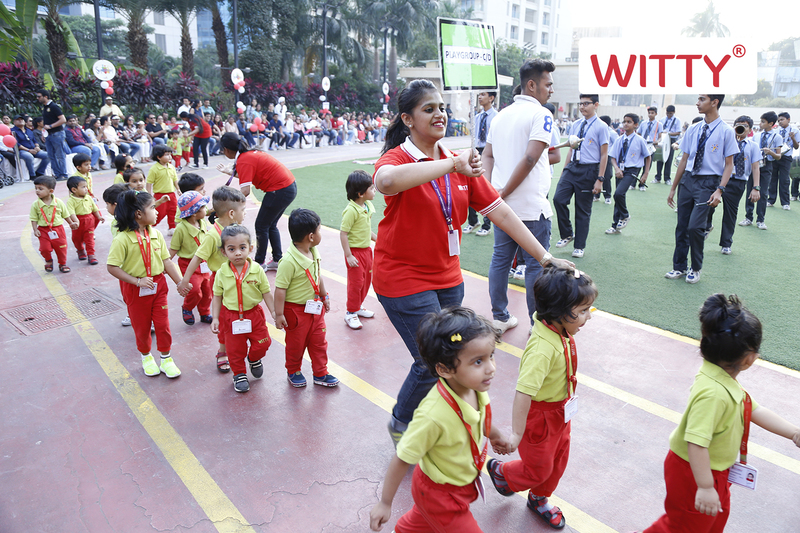 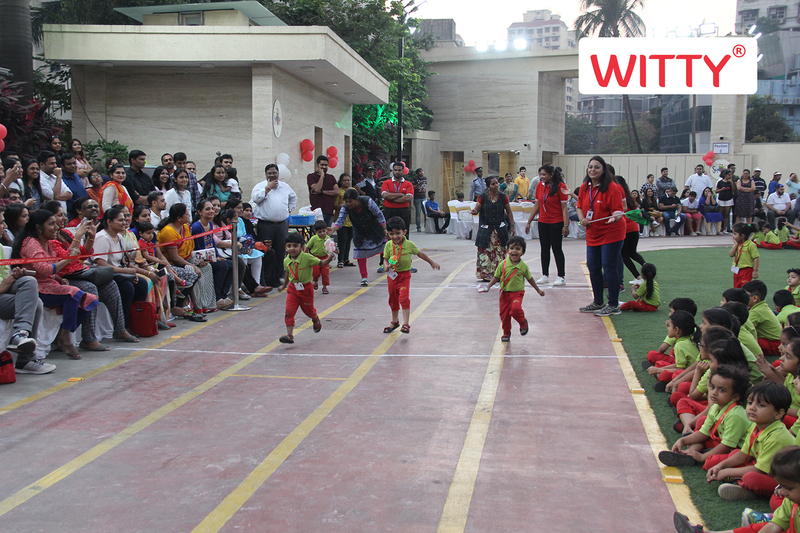 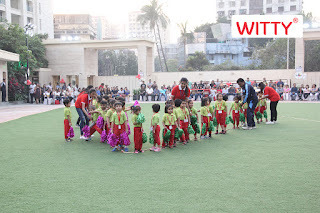 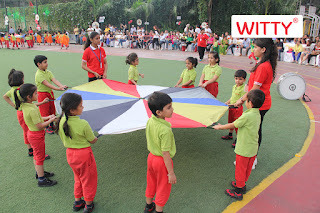 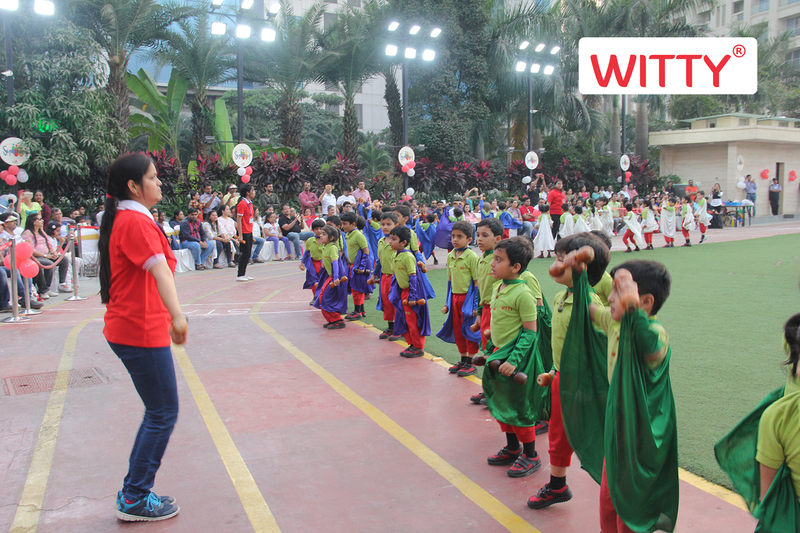 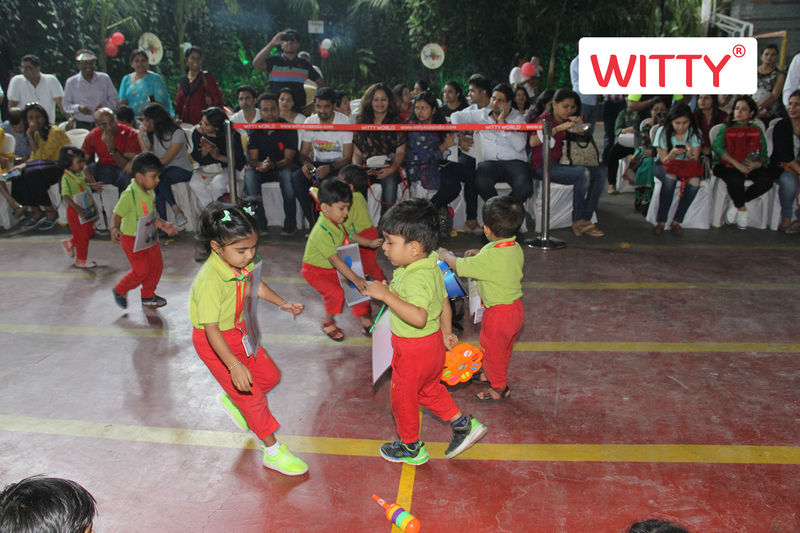 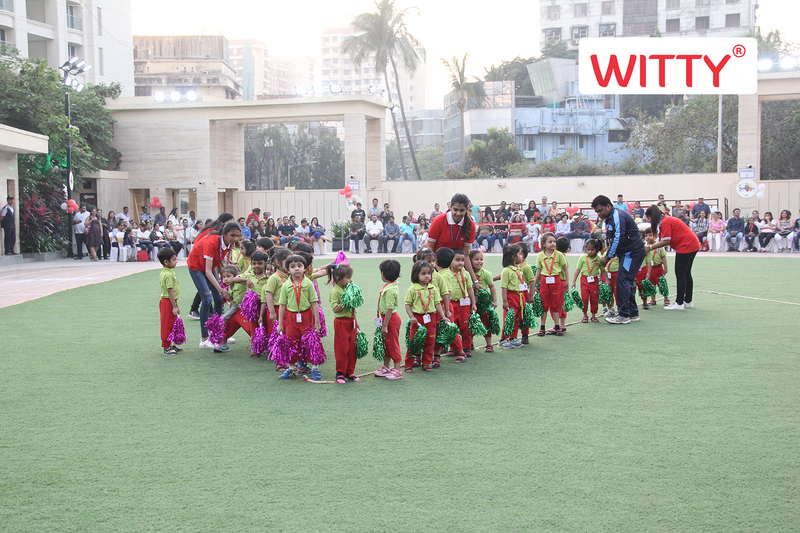 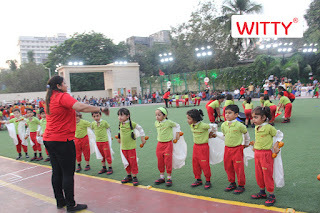 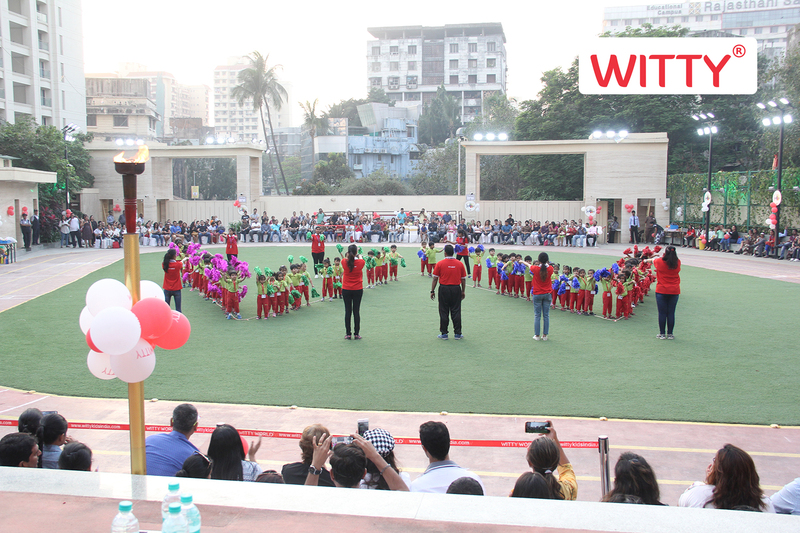 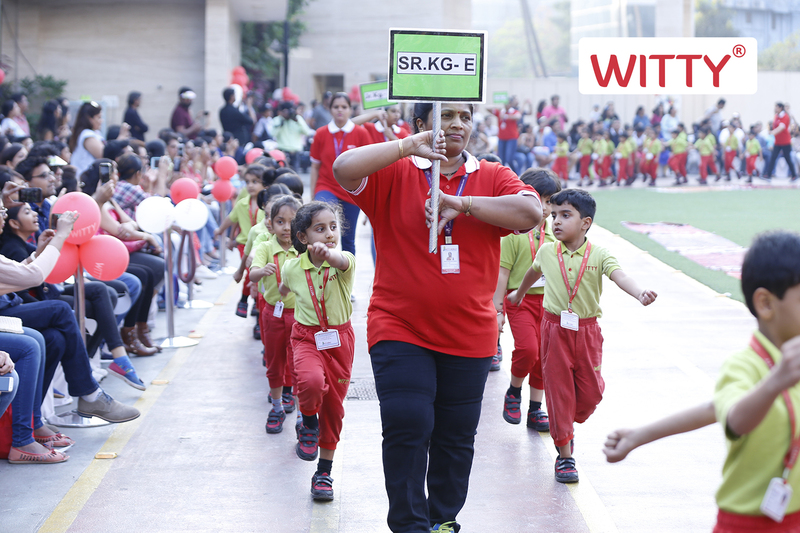 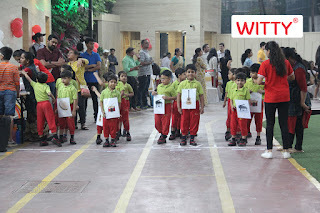 The Sixteenth Pre Primary 'Synergy' Sports Day of Witty World was celebrated on 3rd February, 2018 amidst great mirth, verve and camaraderie. The children participate in a wide range of sports events, cheered their teammates and learnt valuable lessons in sportsmanship. 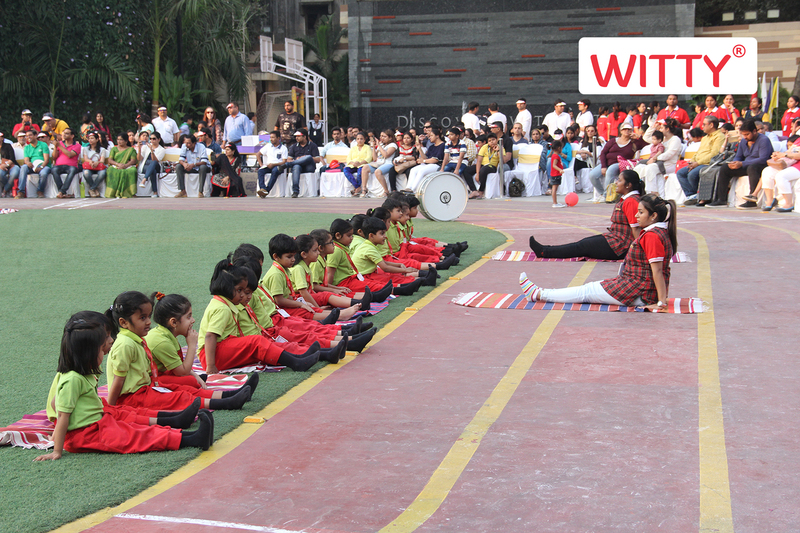 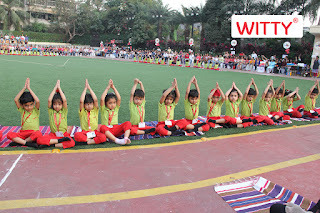 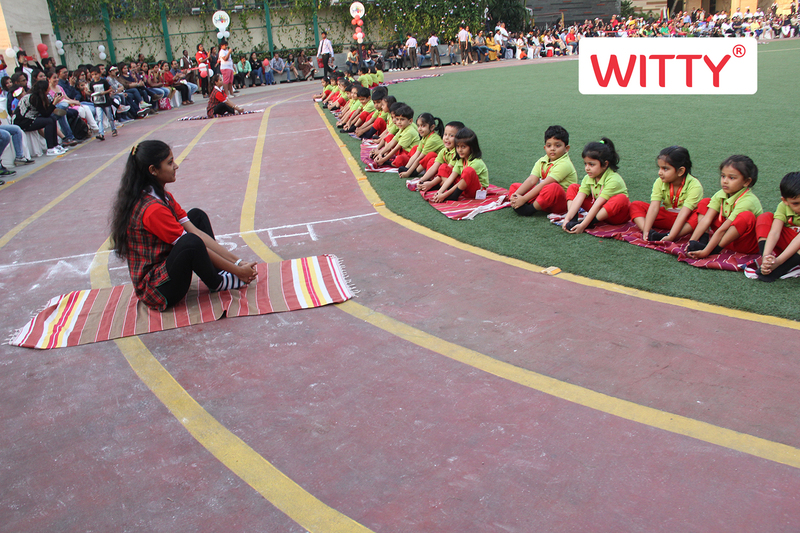 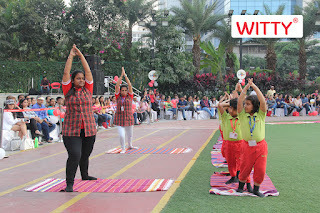 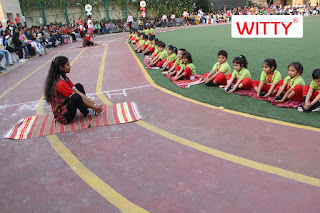 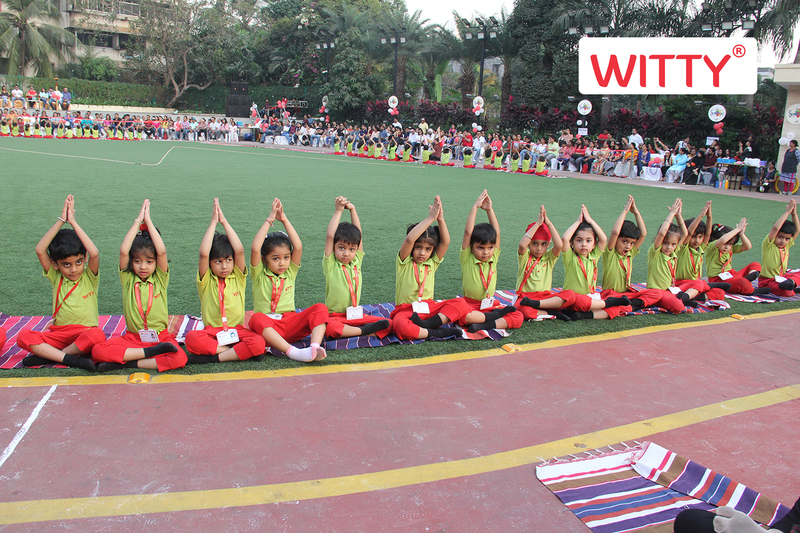 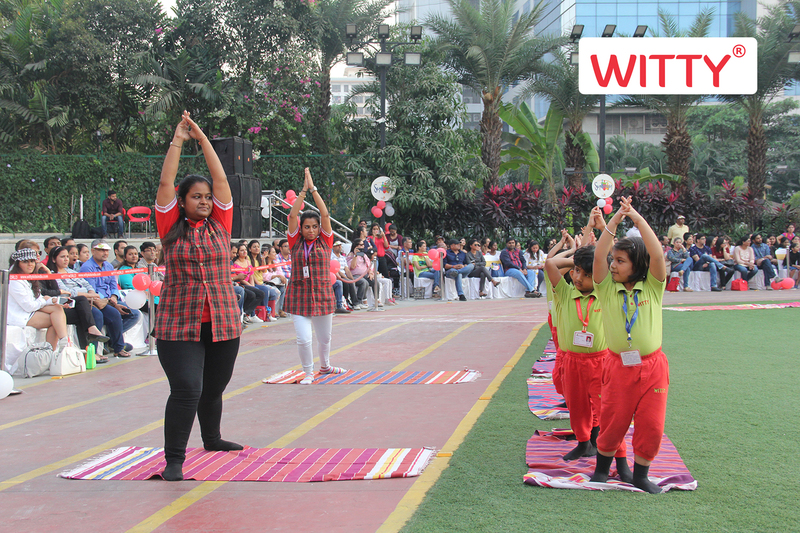 The high light of the programme was the drill exercise performed by Nursery where they also formed the letter 'W' on the ground, Yoga performed by Jr.KG and parachute Drill performed by Sr.KG sections. 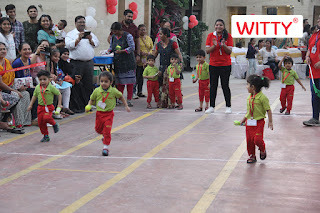 This was followed by the children participating in various track events which involved analytical thinking along with dexterity. 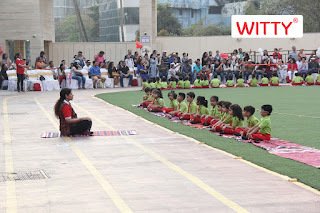 The programme received an over-whelming response with parents participating in large numbers. 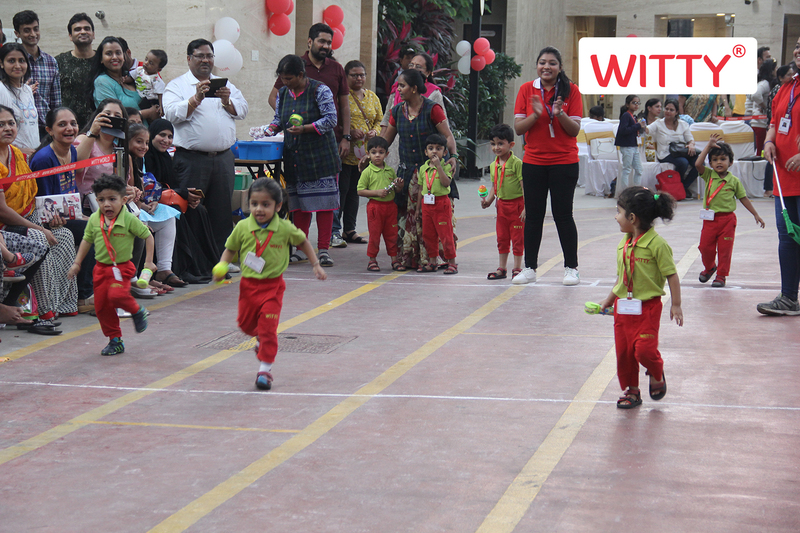 Special race like the Parent - Parent race kept the spirit of excitement shining throughout. In the end, as goes the tradition, all the children were presented with a medal and participation certificate. 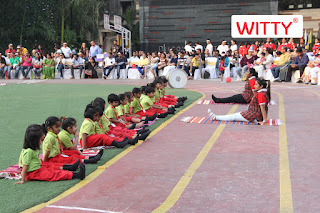 Kudos to all our little ones who displayed that competition is not all about winning, but about the spirit of competing with fun. 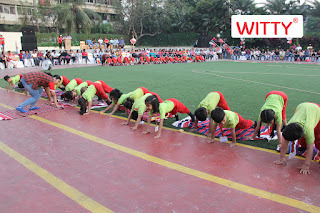 The Meet saw its culmination with the National Anthem.